I flew to Buffalo last Thursday, where Ann picked me up at the airport! It's been less than a year since they moved from Long Island, and it was really fun to see their new house. We had a nice dinner at home with her husband, John, then drove over to visit her daughter, Caroline, and to meet her adorable grandson, Mr. Sweetcheeks! Only 20 minutes from Niagara Falls, we drove up there, too! It's an amazing site... and one that I will certainly visit again someday! On Friday, we drove over to meet Cara & Claire in Saugerties in time for our time slot for Indie Untangled. It was an interesting venue -- nice and big, lots of light. I made all of my weekend yarn purchases at Indie! I have plans, more or less, for most of those items... we'll see how it all pans out in the end! The skeins I found irresistible were from Hue Loco, Spun Right Round, Fuse Fiber Studio, Pandia's Jewels, and Lambstrings Yarn (I'd pre-ordered that skein). We had a nice dinner together and then drove down to settle into our Airbnb in Kingston. Then it was time for lunch... well, it was a bit early, but the line wasn't very long yet (and it can get very long), so we took our chance. Falafel for breakfast! Cara in the center, wearing her very popular & eye-catching Rhinebeck Sweater, which is a heavily modified design that begins with Thea Colman's Shaken or Stirred as a starting point. It was a gorgeous day! Sweater weather, for sure, though it warmed up a bit in the afternoon. Those clouds indeed developed into something... a literal DOWNPOUR for about 15 minutes! Thankfully, we were undercover during that. I bought my Malojos Knitting Needle Gauge Ring two years ago at Rhinebeck, having fallen in love with Ann's. This year, Claire & Cara each scored one. That's the very moment, above, that the #RhinebeckBitchinFour was born. ...and PEOPLE! So many people, and every one of them high on wool. You can see Kay & I modeling our Savage Hearts on Saturday on the MDK Rhinebeck post. I also visited with/hugged Lynne @the_yarnivorous, Seashore Sharon, Regina, Margaux, Robin, Sandy, Norma, Leigh, Wendy, Amy, JessaLu, Larissa, Gaye Glasspie... so many wonderful people! Sunday was truly sweater (and hat) weather... and busy at the fairgrounds, but always so much more relaxed. Beautiful as always. Falafel again for lunch. There were no Artichokes French and, now that I think back, I don't think they were there two years ago, either; my favorite, chicken pot pies, haven't been there for even longer. There were food trucks on Saturday, though, and I heard great things about chicken satay, Korean tacos, and pork buns... and there was disappointment when they weren't there on Sunday! Falafel, though. (So good.) And also available at the new Aba's Falafel in Rhinebeck! I had polar bear ornaments for Junah & Ginny and was happy to find another for Malina! With a couple little items for myself! A cute little project bag from Madder Root Maine and a fine wool jersey scarf from Althea Bilodeau. 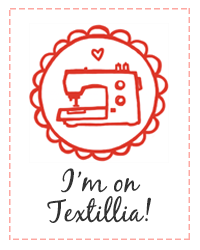 I'm on the mend, if not quite 100%, but ready or not... Rhinebeck, here I come! I leave for Buffalo tomorrow, and then road-tripping on Friday to Saugerties with my friend Ann where we'll meet Cara and Claire for Indie Untangled on Friday afternoon! I'm sure we'll spend most of the Saturday at NY Sheep & Wool... I'm excited to see/meet/hug lots of friends. And falafel! Looks like it ought to be "sweater weather," too. My Savage Heart cardigan is stretched out and drying, as we speak. Those are Ginny's boots, mine, and Junah's last Saturday morning when we walked over to the park after a successful sleepover! Junah's a pro, but it was Gin's first time! We had an unsuccessful try last summer when the boys were here from Spain (hello, overload), and this was our first try since. I may or may not blog while I'm away... Instagram will probably be easier, so follow me there if you'd like. I am @vicki.knitorious. And hold down the fort while I'm gone, OK? See you next week, for sure. Is this a knitting blog? The knitting has been (literally) painfully slow, but it's happening. That's a totally photoshopped mirrored image of my Savage Heart Cardigan from a while back (it's that or more pics of or by the kids -- haha! ), but it's pretty much the truth and just about where I stand... getting close! The first half is currently waiting to be bound to the second half, which has one 4-row repeat to go until the 8-row "fancy" chevron part, then a little ribbing to finish the neckline, and applied i-cord to finish the hem. I went to the doc (PA) on Wednesday for a check on my shoulder and we think that all is good. Even though it sometimes hurts to move, I have good range of motion and at least a little strength in all areas, and there still seems to be a little bit of improvement every day. There have even been brief periods this week when I realize that I'm not feeling pain, at least for a for a few minutes and/or in a certain position, and it's such a relief. I had a wonderful return trip to the New York Sheep & Wool Festival, aka Rhinebeck, again staying with my besties, Cara and Ann! One big highlight of the trip was meeting Cara's kiddos! The last time I visited, her eldest was 9m old -- now she's 8, and has a 6yo sister! They're gorgeous, sweet, and lovely. And, of course, it was lovely to see Poe again at Ann's, and to meet the girls -- Violet & Hyacinth -- at The Pugshack! They are adorable, funny, and playful! We headed north late Friday morning, checking into our Airbnb in Kerhonkson before going over to the Indie Untangled trunk show in Kingston. I met & hugged Lee Wittenstein there after many years of online friendship! I laughed when she said that she recognized me because of my shoes. Who knew? Those "foot selfies" could be just as important as those with your face! ...and so beautiful! This are views from the deck at our house. It just kept getting prettier! There were deer out there both mornings (a couple of visible in the lower right-hand corner) -- I counted at least 8 on Sunday! I didn't have a "Rhinebeck Sweater," per se, but I did have a quickly sewn top-length Alabama Chanin Sweater that I cut out and made by machine on Sunday afternoon! I was delighted to run into Beverly, organizer of the sew-along that prompted the making of that skirt, who was also wearing hers! I was really a bit surprised at how many people recognized my skirt for what it was -- some because they'd "watched" me make it via Facebook, Instagram and/or blog posts, but I think others just recognized it as "Alabama Chanin." Documentation was not my thing, apparently; my one and only photo from the festival is above. It was crowded on Saturday but not overwhelming. I heard people talking about how it seemed a bit lighter compared to some of the previous years. There were certainly crowds and very long lines at some vendors' booths on both days, but I had zero interest in that kind of frenzy -- in terms of yarn, anyway. I did stand in line for food -- both days -- specifically, falafel -- both days. Yes, it was that good!! Had there been chicken pot pies, I'd have been there at least once; inexplicably, I skipped the artichokes french altogether. I did treat myself to a chocolate milkshake (or two). Of interest to me, instead, were the people -- my people -- family! I was so happy to meet up with so many old friends & new: Bookish Wendy, Amy Herzog, Margaux Hufnagel (check out her new Etsy shop! ), Thea Colman, Teresa, Brunilda, Caro Sheridan, Jennie The Potter (check out her new Kickstarter campaign! ), Kay Gardiner, Ann Shayne, Kirsten Kapur, Gale Zucker, Angela Tong, Yarny Old Kim, Lisa Souza, JessaLu, Kathleen, Ruth, Leigh Spencer, My Sandy... even Rachel from Wisconsin, who I used to regularly knit with a few years ago before she moved... I am sure I've forgotten some! On Sunday morning, we stopped by Kelder's Farm to see Gnome Chomsky -- once THE largest garden gnome in the world (now, apparently, third-largest)! Cara carried it all weekend, while also wearing some pretty spectacular sweaters -- but this bag garnered a ton of attention, comments and questions!! Before we knew it, we were headed south again. Yes, I wore my Catamount Tunic (over an A-line Dress) on Sunday! Ann & Cara convinced me to wear it -- there are precious few times I can wear that around an appreciative audience! That's another Color Break Hat, this time for Junah. I regrouped on Monday, sorted through stuff and packed my suitcase. Ann took Peggy and I to Swell Taco for crispy chicken tacos... and margaritas! Yum. On Tuesday morning, I bid a fond farewell to the pugs and began my journey home. LIRR > NJ Transit > Air Train > EWR-MKE > Shuttle to Parking > Find my Car > 2-hr Drive Home! I'd finished Junah's hat on Monday night and started one for Kate. I had plenty of time at EWR, so had some lunch and even little knitting/phone-charging time.